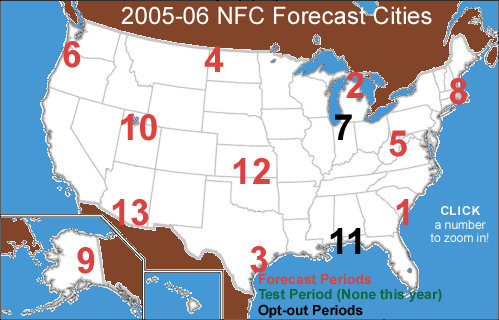 Forecast Cities are shown in the map above. You can go to their respective pages by clicking their number or by following the links on the left. We will opt out as a team for Periods 7 and 11. Here are some links to various weather sites. Please email any suggestions for links to the address at the bottom of this page.